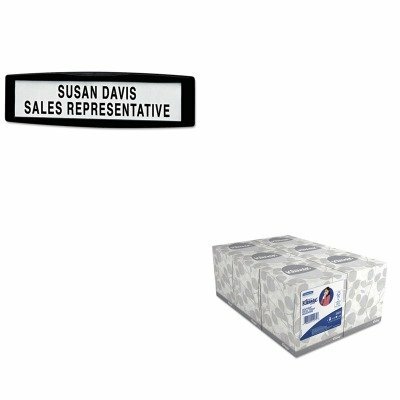 Nameplate displays name, title or department name on partition walls. Area displays text or graphics you customize and print. Innovative ViperPinTM technology attaches to any tackable surface. 100% recyclable. Contemporary style coupled with unique versatility makes this plastic panel accessory professional-looking and functional. The nameplate fastens securely to any tackable partition to help customize and maximize your workspace. Easily repositioned utilizing stainless steel points. Contemporary style coupled with unique versatility. 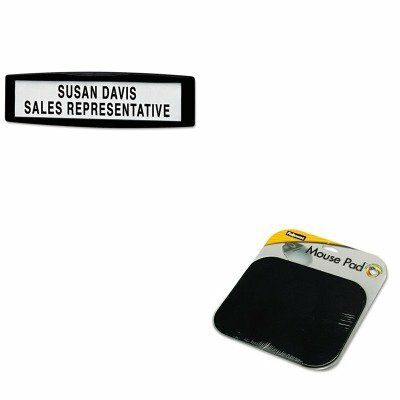 This nameplate fastens securely to any tackable partition to display names, titles or departments. 1 5/8 x 8 viewable area displays text or graphics that you customize and print. Easily repositioned with stainless steel points. Global Product Type: Partition & Panel Accessories-Nameplate; Panel Accessory Type: Nameplate; Width: 9 in; Depth: 3/4 in. Contemporary style coupled with unique versatility makes this plastic panel accessory professional-looking and functional. 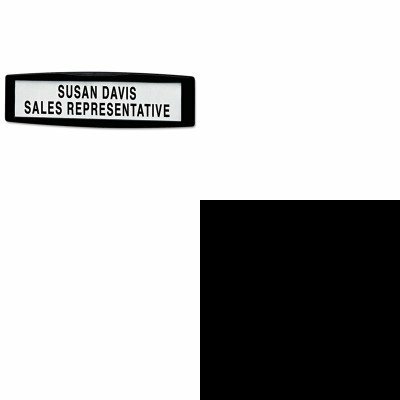 This nameplate fastens securely to any tackable partition to display names, titles or departments. 1 5/8 x 8 viewable area displays text or graphics that you customize and print. Easily repositioned using stainless steel points. Sturdy plastic construction. 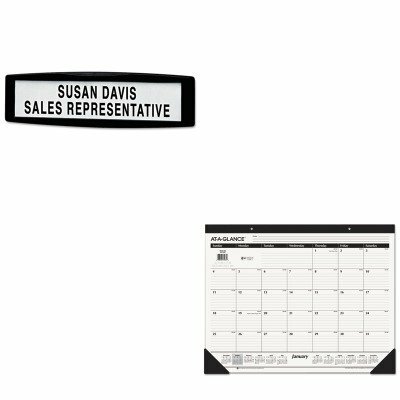 Fellowes Partition Additions Name Plate displays name, title, or department name on partition walls. Area displays text or graphics you customize and print. Patented ViperPin technology attaches to any tackable wall without damaging mounting surface. Plastic made from 100% Post Industrial recycled material. lt;stronggt;FEL75906lt;/stronggt;lt;BR/gt;Fellowes Plastic Partition Additions Nameplatelt;BR/gt;Contemporary style coupled with unique versatility. 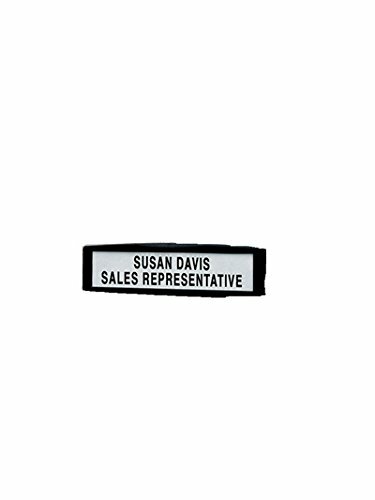 This nameplate fastens securely to any tackable partition to display names, titles or departments. 1 5/8 x 8 viewable area displays text or graphics that you customize and print. Easily repositioned with stainless steel points. Panel Accessory Type: Nameplate Width: 9amp;quot; Depth: 3/4amp;quot;.lt;BR/gt;lt;BR/gt;lt;stronggt;FEL58024lt;/stronggt;lt;BR/gt;Fellowes Plastic Partition Additions Nameplatelt;BR/gt;Optical mouse-friendly pad offers improved tracking. Durable polyester construction holds up to heavy use. Nonskid rubber base protects desktop and keeps the pad in place. Wrist Filling Material: None Mouse Pad/Wrist Rest Type: Mouse Pad Colors: Black. strongFEL75906/strongBR/Fellowes Plastic Partition Additions NameplateBR/Contemporary style coupled with unique versatility. This nameplate fastens securely to any tackable partition to display names, titles or departments. 1 5/8 x 8 viewable area displays text or graphics that you customize and print. Easily repositioned with stainless steel points. 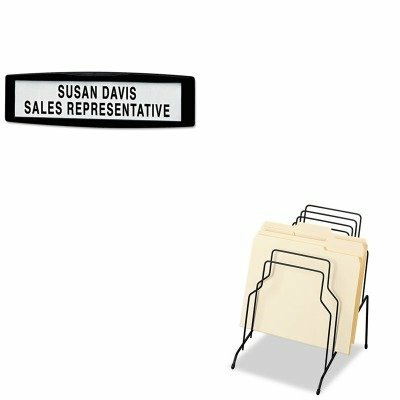 Panel Accessory Type: Nameplate Width: 9quot; Depth: 3/4quot;.BR/BR/strongFEL72614/strongBR/Fellowes Step FileBR/Stepped sections for easy viewing and quick access to folders, letter and legal size papers. Wire design with rubber-tipped feet. Desktop File Folder Sorter Type: Inclined File Sorter Number of Compartments: 8 Materials: Wire. strongFEL75906/strongBR/Fellowes Plastic Partition Additions NameplateBR/Contemporary style coupled with unique versatility. 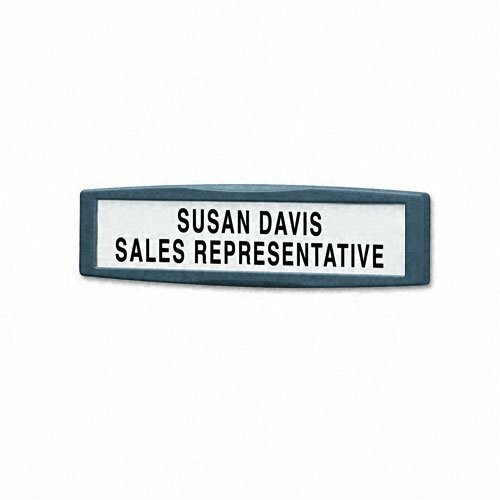 This nameplate fastens securely to any tackable partition to display names, titles or departments. 1 5/8 x 8 viewable area displays text or graphics that you customize and print. Easily repositioned with stainless steel points. 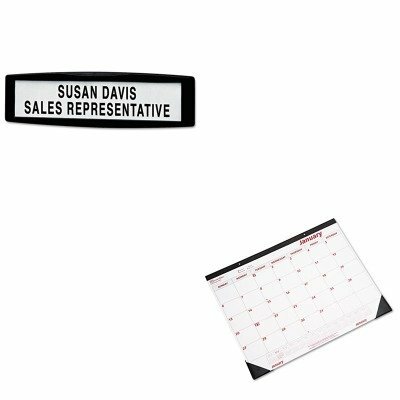 Panel Accessory Type: Nameplate Width: 9quot; Depth: 3/4quot;.BR/BR/strongREDC1731/strongBR/Rediform Desk Pad/Wall CalendarBR/Professional calendar with bold, easy-to-read dates. One month per page, one ruled block per day. Reinforced chipboard back and vinyl corners. Tear-off sheets, bound at top. Yearly calendar at the bottom of each sheet. Size: 22 x 17 Page Color/Theme: White Edition Year: 2015 Calendar Term: 12-Month Jan.-Dec..
lt;stronggt;FEL75906lt;/stronggt;lt;BR/gt;Fellowes Plastic Partition Additions Nameplatelt;BR/gt;Contemporary style coupled with unique versatility. This nameplate fastens securely to any tackable partition to display names, titles or departments. 1 5/8 x 8 viewable area displays text or graphics that you customize and print. Easily repositioned with stainless steel points. Panel Accessory Type: Nameplate Width: 9amp;quot; Depth: 3/4amp;quot;.lt;BR/gt;lt;BR/gt;lt;stronggt;AAGSK2400lt;/stronggt;lt;BR/gt;Fellowes Plastic Partition Additions Nameplatelt;BR/gt;Ruled daily blocks keep notations neat. Versatile use on desk or wall. Size: 22 x 17 Page Color/Theme: White Edition Year: 2014. Contemporary style coupled with unique versatility. This nameplate fastens securely to any tackable partition to display names, titles or departments. 1 5/8 x 8 viewable area displays text or graphics that you customize and print. Easily repositioned with stainless steel points. Panel Accessory Type: Nameplate; Width: 9""; Depth: 3/4""; Height: 2 1/2"". 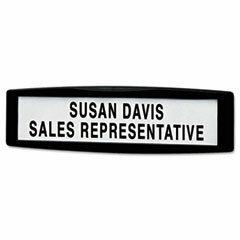 Partition Additions Name Plate displays name, title, or department name on partition walls. Patented ViperPin technology attaches to any tackable surface. Contains 72% post-consumer recycled materials. lt;stronggt;FEL75906lt;/stronggt;lt;BR/gt;Fellowes Plastic Partition Additions Nameplatelt;BR/gt;Contemporary style coupled with unique versatility. This nameplate fastens securely to any tackable partition to display names, titles or departments. 1 5/8 x 8 viewable area displays text or graphics that you customize and print. Easily repositioned with stainless steel points. Panel Accessory Type: Nameplate Width: 9amp;quot; Depth: 3/4amp;quot;.lt;BR/gt;lt;BR/gt;lt;stronggt;FEL98904lt;/stronggt;lt;BR/gt;Fellowes Plastic Partition Additions Nameplatelt;BR/gt;Precision mouse features superior optical technology for unsurpassed accuracy and control. Gel palm pad cushion provides extra comfort during extended use. Long battery life ensures hassle-free cordless mousing. Five programmable buttons and Fellowes Easy Point software for maximum customization. Connector/Port/Interface: USB Left/Right Hand Use: Left/Right Mouse Technology: Optical. lt;stronggt;FEL75906lt;/stronggt;lt;BR/gt;Fellowes Plastic Partition Additions Nameplatelt;BR/gt;Contemporary style coupled with unique versatility. 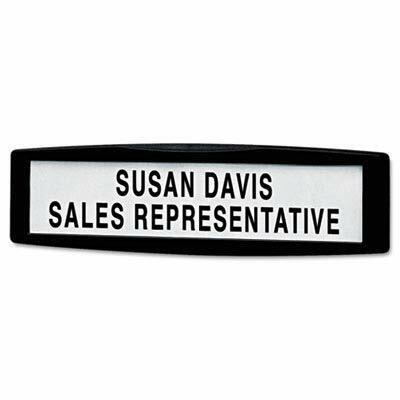 This nameplate fastens securely to any tackable partition to display names, titles or departments. 1 5/8 x 8 viewable area displays text or graphics that you customize and print. Easily repositioned with stainless steel points. Panel Accessory Type: Nameplate Width: 9amp;quot; Depth: 3/4amp;quot;.lt;BR/gt;lt;BR/gt;lt;stronggt;KIM21271lt;/stronggt;lt;BR/gt;Fellowes Plastic Partition Additions Nameplatelt;BR/gt;Soft and absorbent facial tissue. Our strongest tissue packaged for attractive presentation. Special feature lets you know when tissues are about to run out. Tissue Type: Facial Number of Plies: 2 Number of Sheets: 95 per box Length: 8 1/4amp;quot;. 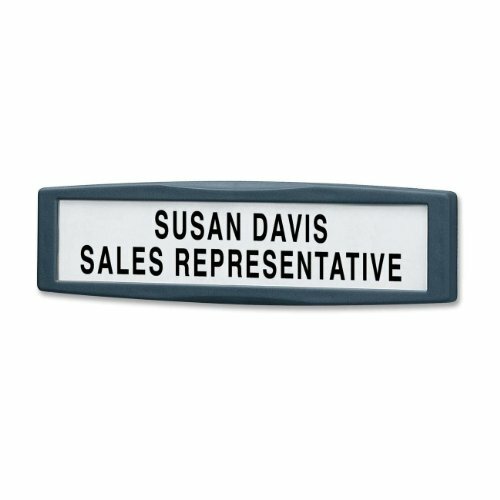 Compare prices on Fellowes Plastic Nameplate at LiveSaler.com – use promo codes and coupons for best offers and deals. We work hard to get you amazing deals and collect all avail hot offers online and represent it in one place for the customers. Now our visitors can leverage benefits of big brands and heavy discounts available for that day and for famous brands. We try to makes comparison shopping easy with Product Reviews, Merchant Ratings, Deal Alerts & Coupons. Find Deals, Compare Prices, Read Reviews & Save Money.